There’s no denying that 2015 has been an odd year weather wise, but the cold has finally kicked in (for real, this time). If you’re one of the brave ones who are accustomed to clearing ice from your rod guides, then you’re fully aware of the huge difference that quality, insulated clothing can make during a cold day on the water. Experienced fishers know that it all starts with base layers. Patagonia has raised the bar with their new Merino Air base layers, which lay claim to not lying flat on the body. Mechanically speaking, the garments are based on a 3D “lofted” weave that offers 4-way stretch, resulting in a zig-zag profiled fabric that traps body heat, yet stretches and flexes to provide air circulation. It’s one of the most innovative fabric weaves I’ve seen in in a decade – and it works. 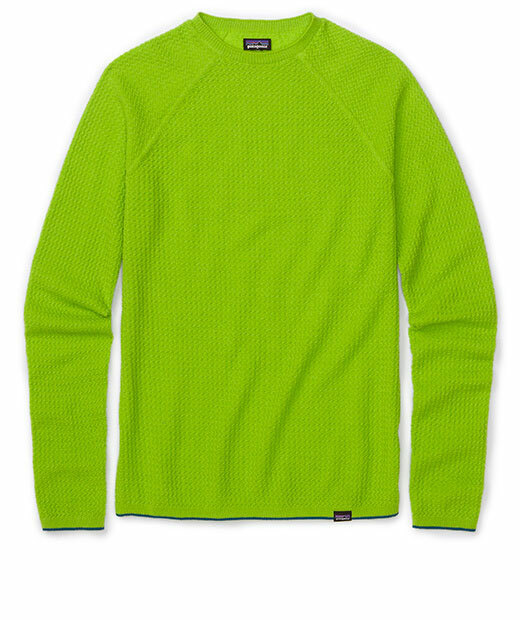 Add in the natural anti-microbial properties inherent in merino wool, and you get a standout baselayer that outperforms most items currently available. Highly recomended. Icebreaker has put out their best jacket ever, the Stratus, and the list of featured goods is a long one. 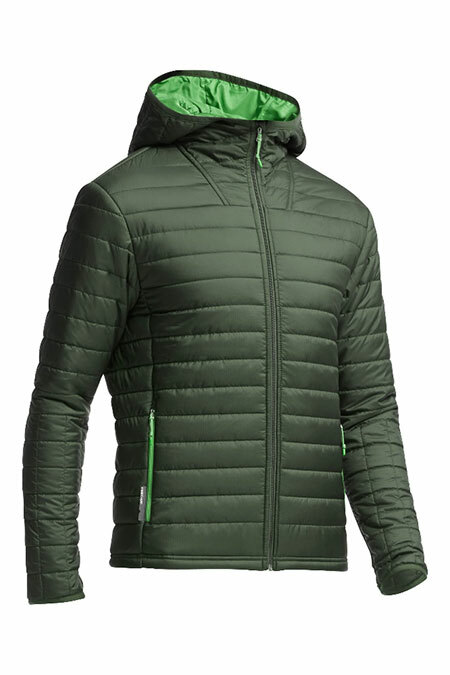 If you’re looking for an ultra-warm, lightweight, close-fitting jacket with all of the bells and whistles, this is it. Inside is as notable as the exterior, fitted with merino (next to skin): it’s a soft and breathable barrier which regulates temperature efficiently. Shoulder panels and hood are perfectly tailored, offering the right balance of snugness/movement. Elasticized interior cuffs keep your wrists warm and dry, and the jacket includes a configurable waist and hood. Stays warm – even when wet. Non-itch, odour-resistant. 88% of the insulation is made with Merino offcuts for sustainability. Summary: Everything about this jacket is right. Highly recommended. Note that this item, as most Icebreaker tops, features an “athletic fit,” so unless your body type is lean, be sure to order one size larger if you’re shopping on-line. If you’re expecting a very wet day on the water, Simms has the jacket for you. The redesigned ProDry Jacket is 25 percent lighter for enhanced stowability. Optimized architecture includes high-capacity zippered chest pockets (for two medium-sized boxes), secured with water-repellent YKK AquaGuard zippers. Combined with the Pro Shell fabric, this is a jacket that will stand up to oceanic endeavours. Fishing-specific detailing includes micro fleece lined-pockets, Dry Cuff water blocks at the sleeve, multi-cord lock system that efficiently manages internal adjustments, and a 3-point adjustable storm hood that wears well with a beanie or ball cap. Constructed with a woven backer, the GORE-TEX shell slides easily over other layers. Note that the sizing on this item leans slightly to the large side, in order to accommodate layering. Combine the top rate materials, high production standards, and long list of fishing-specific features and you end up with an unrivaled fishing jacket. Highly recommended. If featherlight insulated gear is what you’re after, the Patagonia Nano-Puff series of jackets and pants stand out in an ocean of wannabes. I liken the Nano-Puff line to the Porsche 911 series: they’ve been around for a good while, and each new edition is tweaked for improved performance. 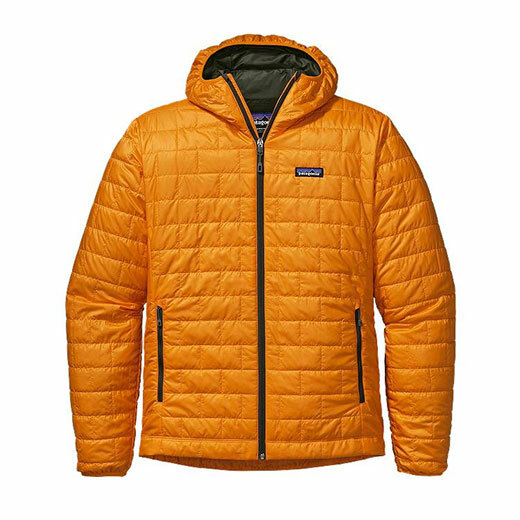 This year’s line features the now familiar quilted, wind resistant outer, paired with ultralight 60g PrimaLoft insulation, which was developed to be water resistant. All of the garments are fitted with minimalist, lightweight zippers, and this year is yet another leap forward in tailoring: all of the panels are assembled to form what is arguably the most comfortable outer layer available. Make that long cast without worrying about restricted movement. Elasticized cuffs paired with downsized sleeve and hood fabric panels provide a very snug fit – excellent if you’re speeding along in a boat. Light-gauge internal adjustment cords finish off this excellent package. Highly compressible.